MALNUTRITION AMONG HOSPITALIZED CHILDREN IN TERTIARY CARE HOSPITAL. Irum Javed Poonch Medical College, Rawalakot, AJK. Muhammad Sajid Mehmood FM&DC, Abbottabad. Jawad Khalid DHQ Hospital Kotli, AJK. Sajid Shamim Frontier Medical College, Abbottabad. Objectives: To measure the frequency of malnutrition among hospitalized children with Nutritional Risk Score (NRS) >4 at presentation. The malnutrition in children often deteriorates due to stay in hospital. In order to prevent acute hospital-acquired malnutrition and its complications, the risk of nutritional depletion status needs to be identified at the time of admission so that appropriate nutritional intervention can be initiated at an early stage. Study Design: Descriptive case series study. Setting: This research project was carried-out in surgical ward of Paediatric unit, Pakistan Institute of Medical Sciences (PIMS), Islamabad. Period: One year from January 2016 to December 2017. Subjects & Methods: A total of 100 cases with NRS>4 were selected, who got admitted to the surgical ward for 24 hours pre-surgery. The permission from the ethical committee of PIMS was sought before the commencement of the project. Informed consent was obtained from parents/guardians. The interview was taken from the person, who had been with the patient most of the time during the last 24 hours (mother or the care-taker). The height, weight was measured and BMI calculated. A complete assessment of NRS was performed and following risk factors were evaluated i.e. food intake, pathological stress factors and difficulty retaining food. These risk factors were classified as mild, moderate and severe. All the data was collected on a proforma prepared for the said purpose. Results: The patients between 1-6 years of age were 53% (n=53); while 47 %( n=47) were between 7-14 years of age. The mean age was 6.58+3.63 years out of which 54% (n=54) were male and 46% (n=46) females. The frequency of malnutrition was recorded in 65% amongst the hospitalized children with NRS>4 at presentation. Conclusion: The frequency of malnutrition is quite high, amongst hospitalized children with NRS>4 at presentation. The cause of this malnutrition /under--nutrition needs to be addressed, and guidelines may be adapted to control and minimize hospital related malnutrition. 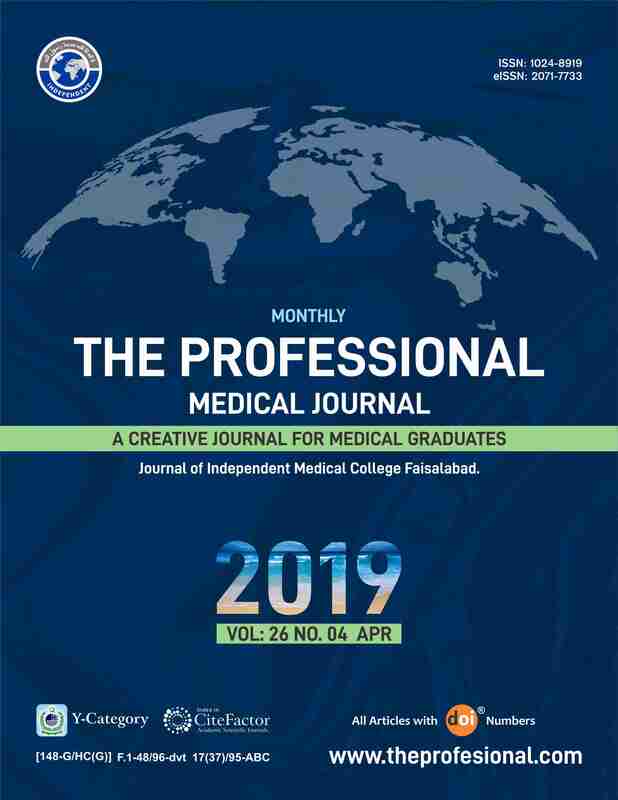 Irum Javed, Poonch Medical College, Rawalakot, AJK. Muhammad Sajid Mehmood, FM&DC, Abbottabad. Jawad Khalid, DHQ Hospital Kotli, AJK. Sajid Shamim, Frontier Medical College, Abbottabad.